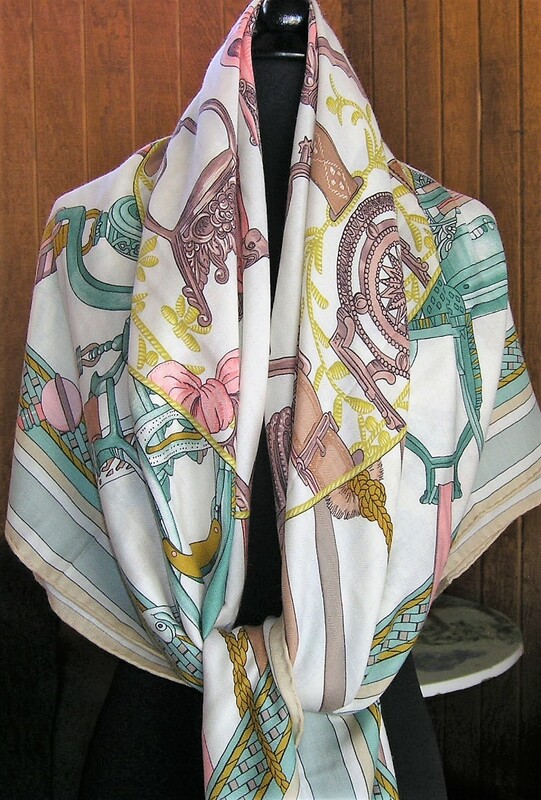 Duo d’Etriers 2017 Hermes Cashmere Shawl – The Hermes scarf – a 90 cm silk square weighing approximately 65 grams – has graced the necks of the world’s outstanding ladies and continues to be an indispensable accessory for all elegant women. 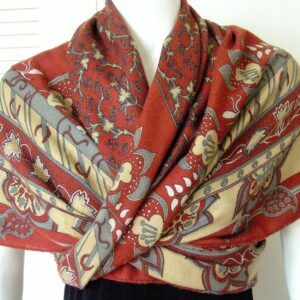 Manufacturing methods may have evolved since the first scarf was turned out in 1937, but high-quality traditional craftsmanship remains the standard. 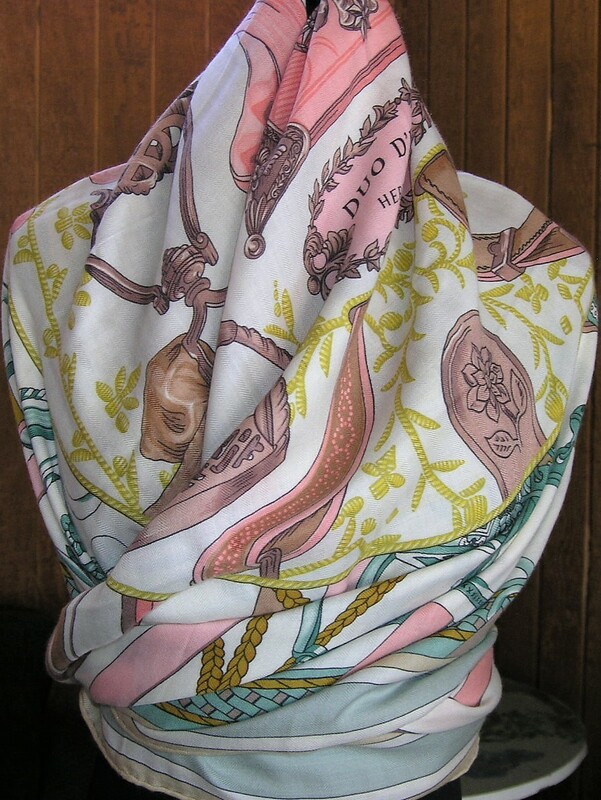 The factory is situated in Pierre-Benite, near Lyon, the capital of silk. In the printing department, bolts of silk are fixed on immense tables more than 100 meters long. A printer places a silk screen frame corresponding to one color and one particular design and applies the appropriate dye. These steps are repeated as many times as the number of frames needed to arrive at the final pattern. Depending on its complexity, 24 to 70 applications may be required. 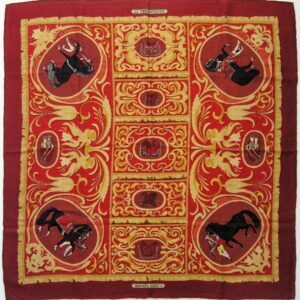 Once it is printed, the bank of silk is put to dry above the tables for the entire day. Later it is washed, dried, ironed and cut. 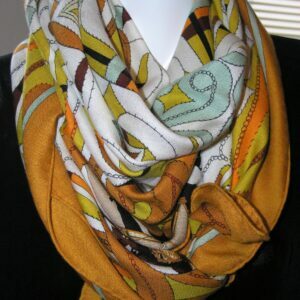 A seamstress puts the finishing touch with a hand-sewn hem on the scarf’s four borders. The colors employed call for a variety of utensils worthy of a great chef. The assemblage of pigments under neat allows for the composition of 38 primary colors which, skillfully mixed, produce an infinite range of hues and shades. 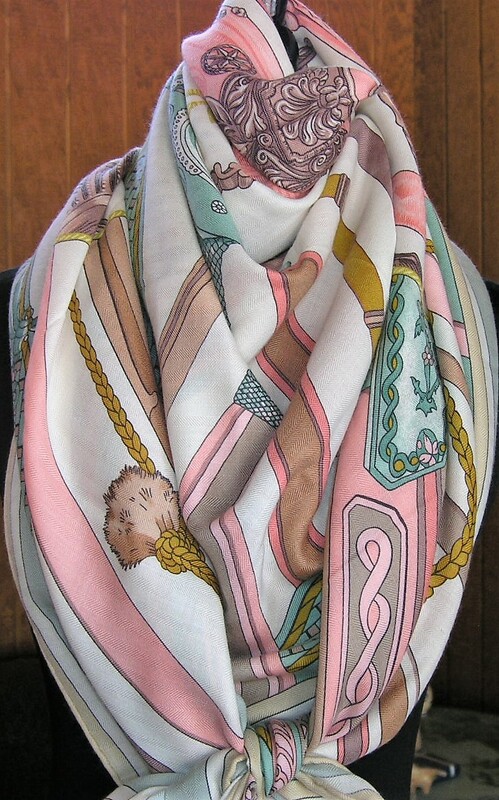 Hermes creates new patterns based on a specific theme every year. More than 1000 different models exist, each one conjugated in a dozen colors. 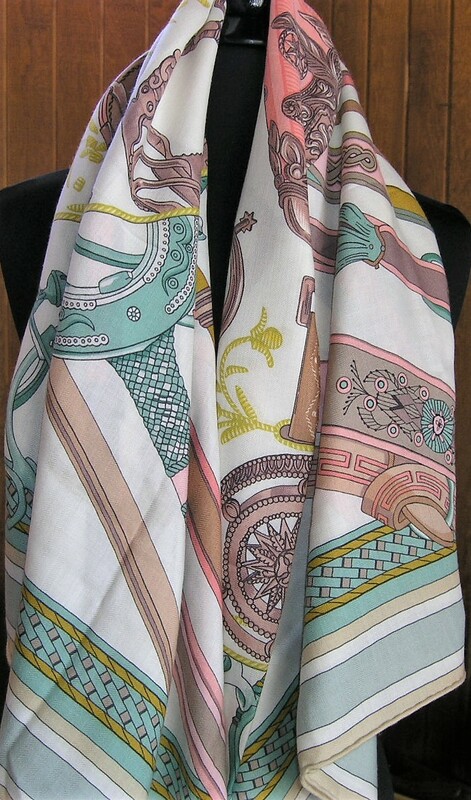 Click here to request access to the It’s-All-Goode Vintage Hermes Scarf Database. 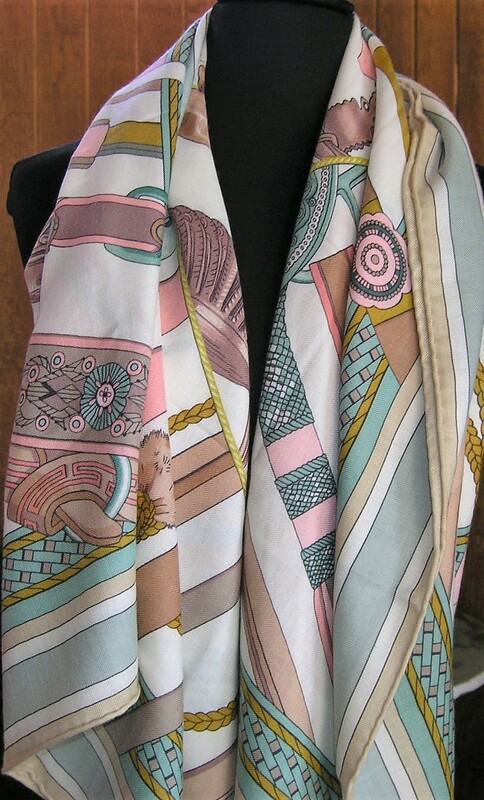 It’s All Goode specializes in vintage Hermès treasures, primarily Hermès silk scarves and Hermès cashmere shawls. 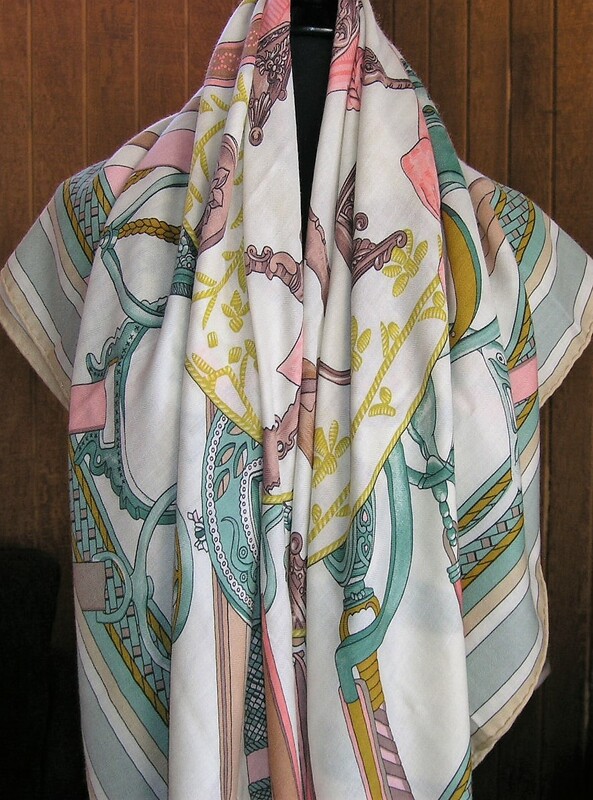 Many of our Hermès scarves and shawls are in unworn, pristine condition. 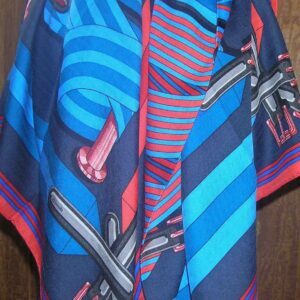 All items are consigned to It’s All Goode or come from my own collection. 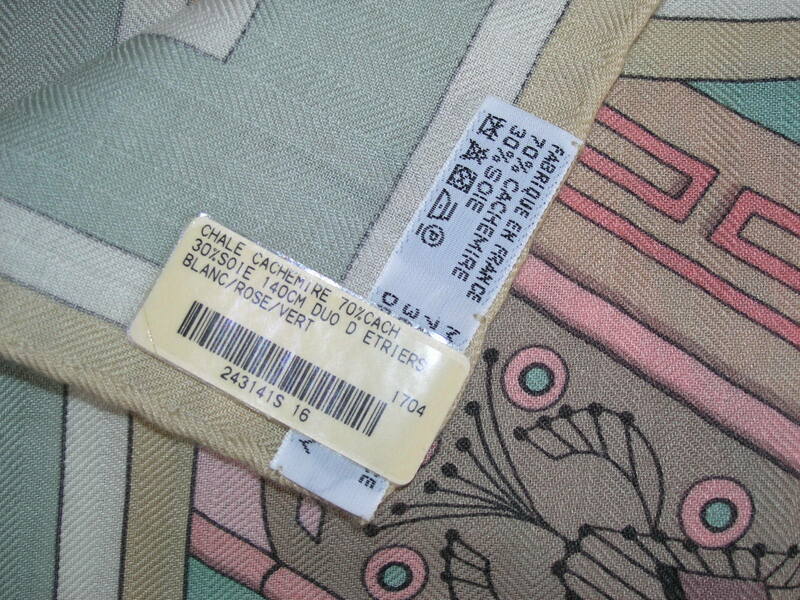 It’s All Goode does not shop Hermès sales or the internet for marked-up resale of vintage Hermès scarves.